A WOMAN has admitted her ‘guilty pleasure’ is not Hollyoaks, Curly Wurlys or the music of Neil Diamond but masturbation. Joanna Kramer, from Loughborough, made the confession during a conversation with workmates about those things you secretly really enjoy but are embarrassed to admit to. Colleague Carolyn Ryan said: “I’d just finished telling everyone that I actually rewatch Clueless twice a year and still cry at the end. And then Joanna said that she had one. “My guess was Harry Potter books or maybe Nice ’N’ Spicy Nik Naks, so it was a bit of a shock when she went straight for ‘wanking in the shower’. 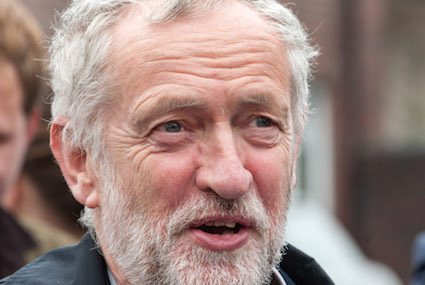 JEREMY Corbyn is finally starting to like being Labour leader. Corbyn stressed that although he never really wanted the job in the first place, the last few days have been ‘rather splendid’. He said: “I’m feeling really good about myself right now. I’m leaping out of bed and just raring to go. Corbyn added: “I know I’m not going to win a general election, but I genuinely thought this job would be one long pain in the arse.